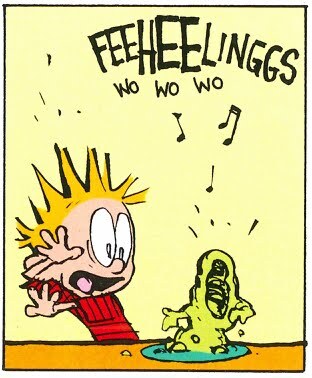 Watterson, Bill. "Blecchhh." 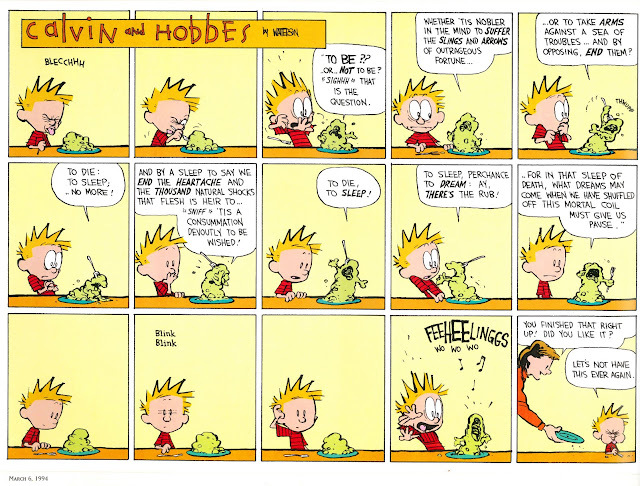 The Complete Calvin and Hobbes. 3 vols. Vol. 3: 1992-1995. Kansas City: Andrews McMeel Publishing, 2005. 6 March 1994. 308. With everything that's going on, I seem to be averaging one post a month. 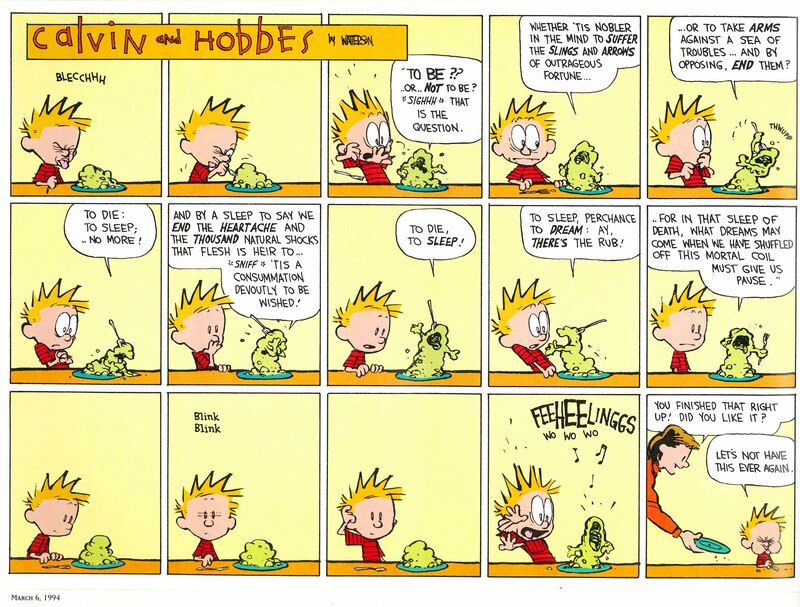 Since that's the case, I might as well leave November in the very capable hands of Bill Watterson. Watterson offers up a serving of Hamlet's soliloquy—in one of the most daring adaptations yet seen. 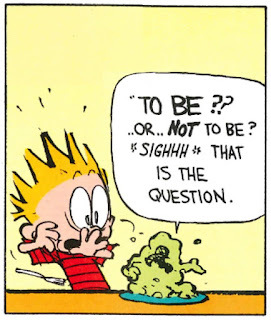 In his version, Hamlet's too, too solid / sullied / sallied flesh seems to have melted away entirely, leaving a bemoaning residue on the plate. Let's tune in to see what happens (click on the image below to enlarge it). Bonus image for those who have scrolled down this far.